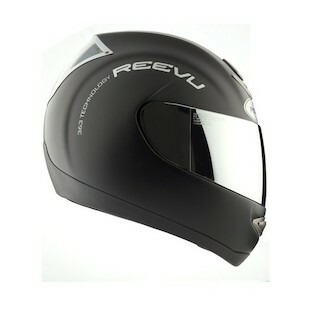 So, today I got to try out my buddy's Reevu MSX1 Rear-View Helmet. 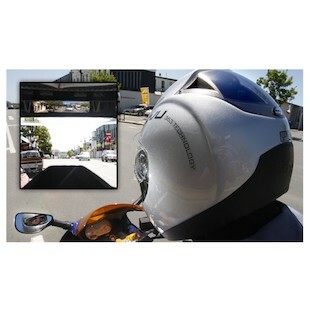 It has a little rear mirror in the front that lets you see behind you without having to turn your head at all. I really liked it in traffic, made switching lanes really easy and also did very well on the freeway. He had just installed a new liner and we are the same size and the fit was quite good. Decent airflow, not too loud but the rearview mirror in the front really impressed me the most. If you commute in traffic or on the freeway, this is something you should look at. I was really impressed with looking at the stock mirror on the bike but also seeing in the helmet that everything was clear behind me. No more looking behind you. Is it good enough that you will be buying one? If I keep my streetbike, yes I want this helmet. It's worth it to be able to see behind me at all times. But, I may be switching back to just dirt. This helmet seams to be a great concept. I won't be surprised to see more of this type coming out. Now that is cool and competitively affordable. An interesting concept. I'd like to see one in person and try it on (which Reevu recommends in one of their manuals) and inspect the rearview system for robustness and anticipated longevity. On their site I did not see much about the actual helmet construction materials. Though "carbon" was mentioned once, the construction pix all looked to be fiberglass. No example weights are given nor noise data, just verbal descriptions. Also, I saw that one of the manuals is dated 2009 suggesting the helmets have been around a while but haven't garnered the greatest attention, or I've just missed it all. Not enough info/data at their site for me. I'm going to search the web for reviews and such... but, I REALLY like the idea!!! The one thing that worries me is the poor ventilation score. 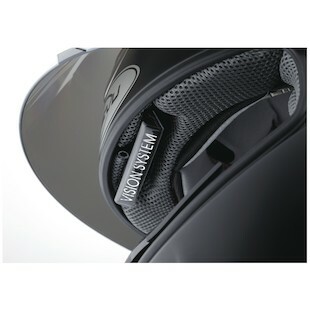 Being a rider in the South, having good airflow through the helmet is a MUST in anything but fall and winter temps. I'd be interested in trying one out, for sure, though. Hopefully if they take off they'll be able to come out with an updated version to address some of the concerns in the article. I, too, am in the South and appreciate good ventilation; good point, fooschnickens. Weight is also a concern of mine; I'm not a big guy and don't need any more weight on my neck than necessary. Weight is always a concern. That inertia is a particularly harsh mistress if you get sent off the bike.